Yeast is an item that does not store well. Even in a freezer you are limited to just a couple of years. As a result, I have been researching the alternatives. During the pioneer days they depended on baking soda, baking powder, salt rising and wild yeast also called sour dough to leaven bread. According to the latest research at BYU baking powder stores longer than previously thought. Samples as old as 29 years were tested and still worked. Homemade baking powder can be made with the following recipe. Mix together. It makes one-teaspoon baking powder. Sour dough and salt rising bread are time consuming, but delicious. 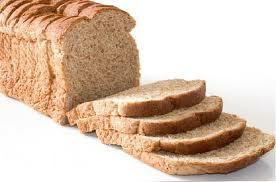 Salt rising bread can produce an odor that will stink up your home. The following recipe for wild yeast once started can be kept alive indefinitely. Mix the ingredients. Place mixture in a warm spot to rise until ready to use for baking. Keep a small amount of the yeast to use for a starter for the next batch. Between uses, keep the yeast starter in the refrigerator, or keep as cool as possible until a few hours prior to use. Add the same ingredients with the exception of yeast to the wild yeast starter before your next baking. By keeping the yeast starter alive, yeast can be kept on hand indefinitely. In the future, we will post more on old-fashioned bread making. Don’t hesitate to share your good bread recipes with us. This entry was posted in cooking, recipes and tagged Old Ways to Leaven Bread. Bookmark the permalink. ho! thank you! It really help in my assignments.